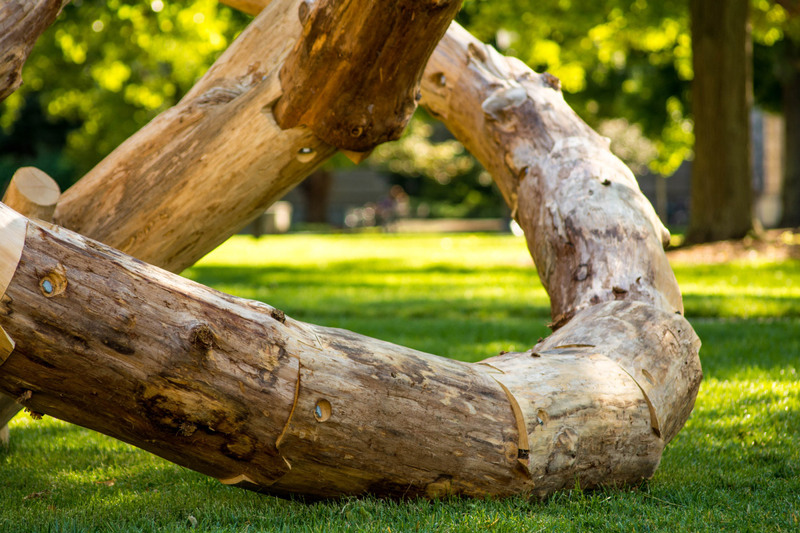 When a tree is harvested for wood, what happens to the pieces that aren’t ramrod straight? 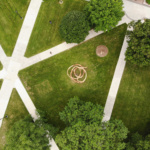 An installation designed by Cornell University’s Robotic Construction Laboratory (RCL) proposes an answer to that question and has used robotic fabrication to build a self-supporting structure from rejected wood cuts. 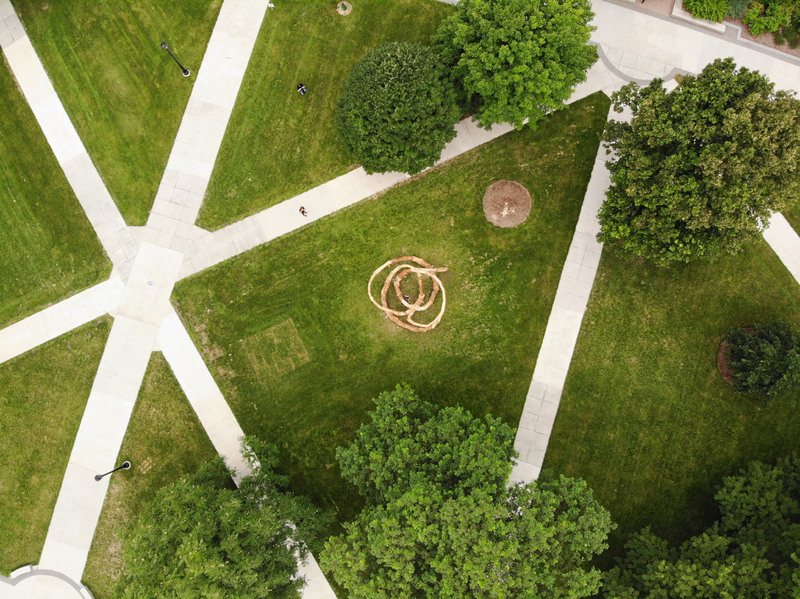 LOG KNOT was commissioned as part of Cornell’s Council for the Arts 2018 Biennial and installed on Cornell’s Agriculture Quad on August 22 of 2018, where it will remain until December 8. 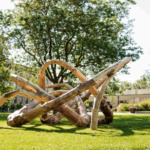 The theme of this year’s Biennial is “Duration: Passage, Persistence, Survival.” The closed-loop form of LOG KNOT, the interplay of a traditional material, wood, and a high-tech fabrication process, and the eventual silvering of the structure’s untreated timber, all directly address those points. On an AN visit to Cornell’s main Ithaca campus, RCL director Sasa Zivkovic (also of HANNAH) walked up and down the structure to demonstrate its strength. 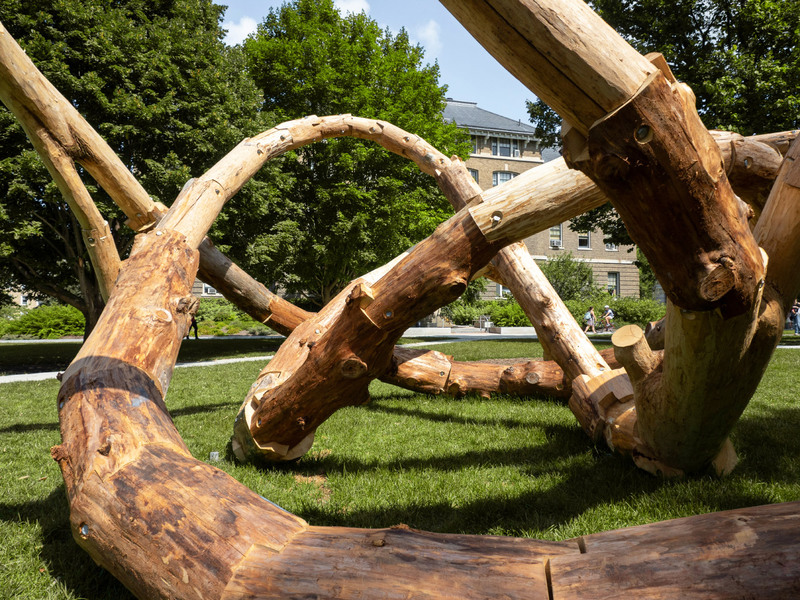 LOG KNOT was formed by harvesting irregular trees that would be normally passed over from Cornell’s Arnot Teaching and Research Forest, 3-D scanning each, and using their shapes to design a self-tensioning structure. 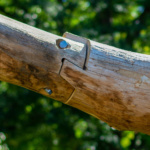 Using a CNC mill, the logs were then cut into segments that would optimize the amount of stress they would experience, and joining notches were cut into each end. Thanks to the precision of the computer-controlled mill, the final structure was erected in-situ by hand, says Zivkovic. 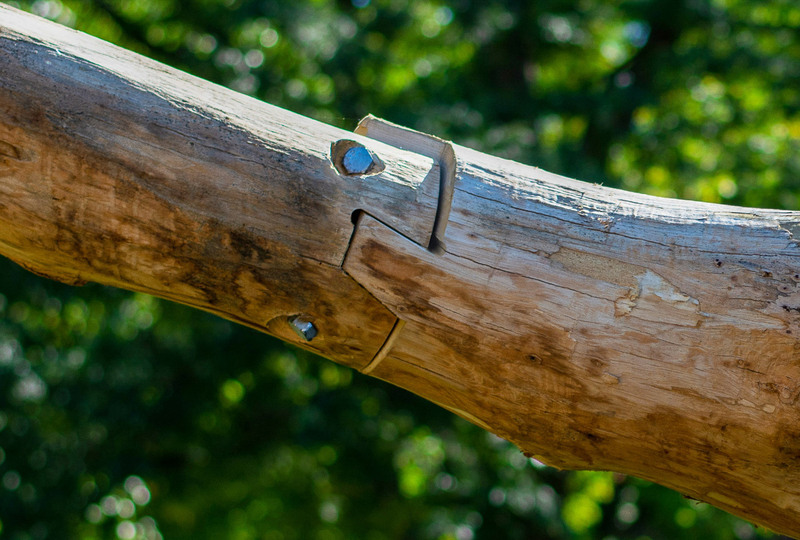 The RCL team was able to install LOG KNOT by having one person hold up a log segment while the next bolted it into place, all without the use of a crane. 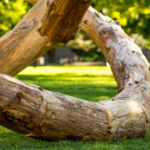 The final effect is of a single extruded log, even though LOG KNOT was built using two different species of wood. Only 35 percent of the wood taken from most trees is used in construction, typically the tree’s straight trunk. LOG KNOT, much as with the wooden portion of HANNAH’s forthcoming Corbel-Bacon Cabin in Ithaca, was built by using the natural contours of the trees to form the structure. 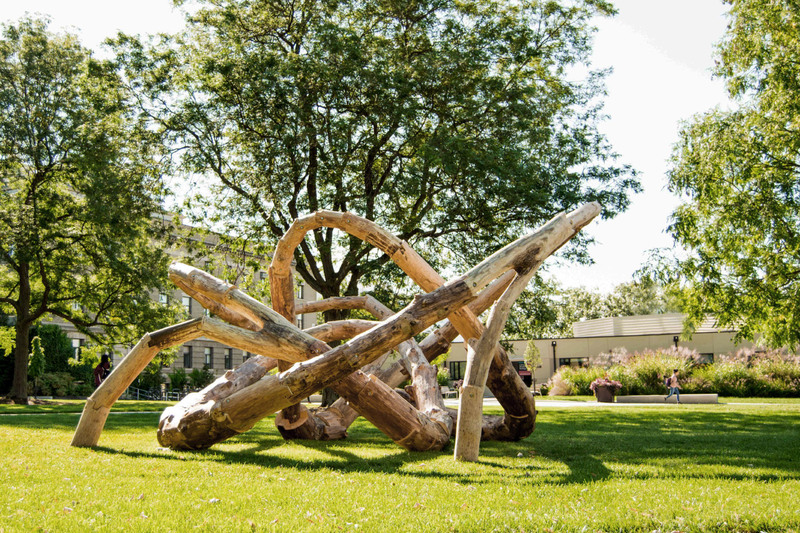 While LOG KNOT may be a temporary installation, ultimately the RCL wants to use the same technique to cut back on wood waste in a way that creates aesthetic possibilities.